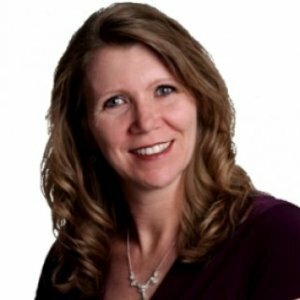 Tara Truax is author of the book “Who The Hell Am I To Start a Business?” and founder of Tara Truax Companies, a business acceleration firm. Tara helps her clients make more money with less stress so they can attract their ideal clients, stay in love with what they do and fulfill their ultimate purpse. Tara’s business career spans over 17 years and several different businesses. Having started her first business in 1995, Tara has learned how to successfully create a solid business and has a desire to share her knowledge with others so they can avoid many of the pitfalls she has encountered – and learned from. Tara is also a speaker in topics ranging from business growth, customer service, client communication, women’s topics, and motivational topics. She brings her rich experience so that the audience can relate to the message she is trying to share, she doesn’t just talk in theory. She brings a fresh energy to her presentation that engages her audience so they are able to take away valuable lessons they can use right away, every time. Additionally, she makes herself available following each presentation to be sure the needs of everyone present are fully met. In additional to working with clients, writing books and speaking, Tara can be heard seen in Daily Record and has appeared on JoinUpDots, Start Up Biz Radio and The Empowerment Show. How the Hell am I to Start a Business? Lydia Rapidah, Event Planning Expert | GuGuly! Shine Your Way to Success: YOU Are the Secret You've Been Looking For! Easy Steps to Lifelong Clients: It's in the Communication! Easy Steps to Lifelong Customers: Communication is Key! •	How the words you use, tonality and body language make a difference in your customer’s perception of you and your business. •	Steps you can implement right away to establish a great customer service program within your business. •	What to avoid in absolutely every customer interaction you have.